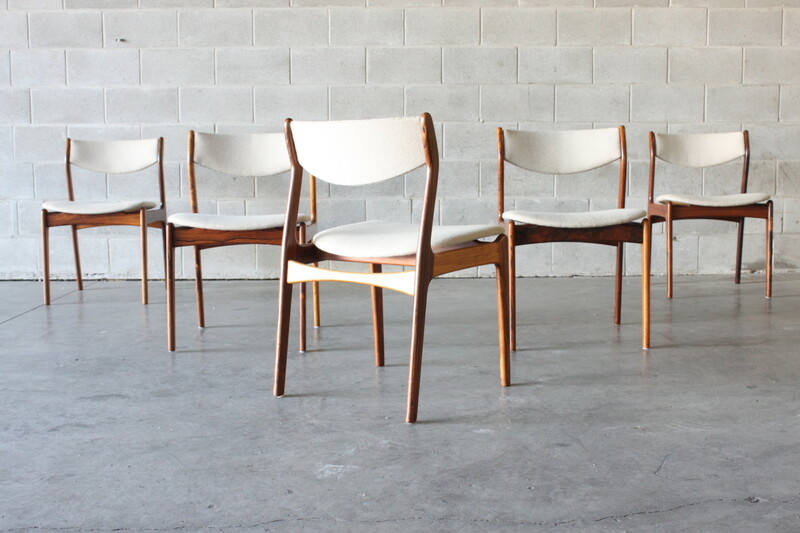 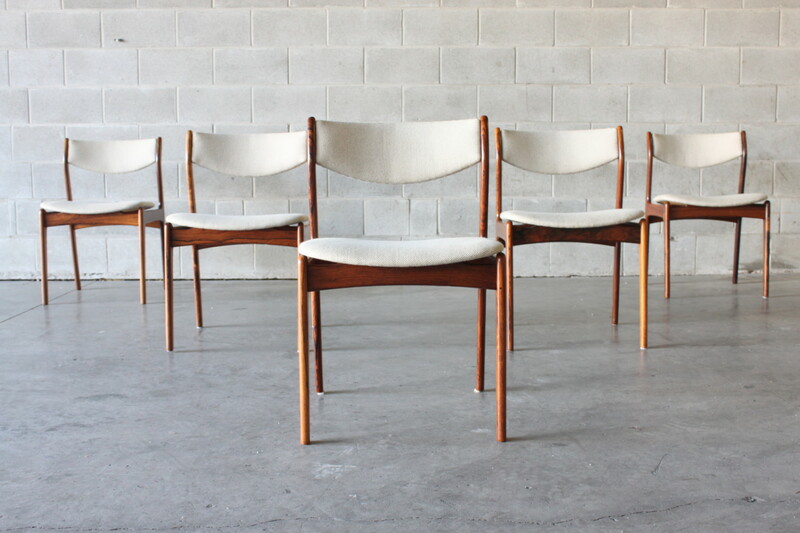 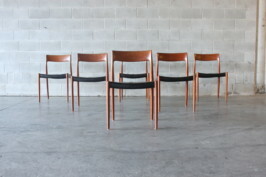 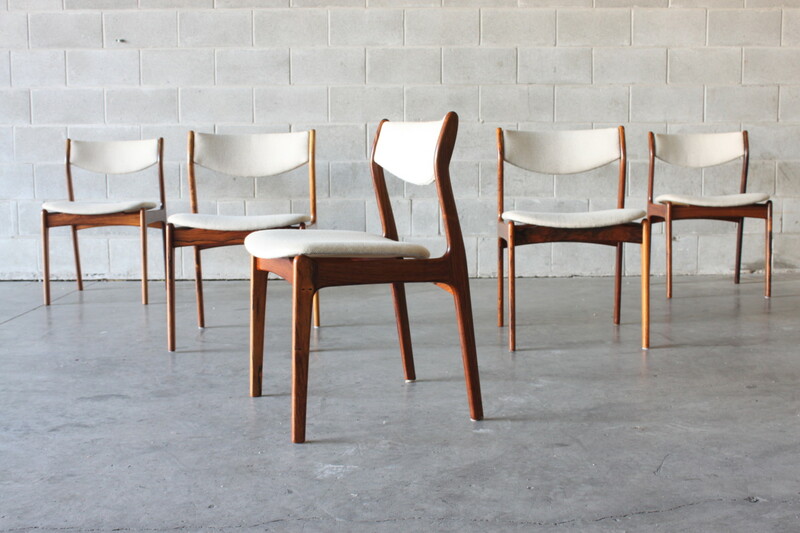 A set of six Brazilian rosewood dining chairs by P.E Jorgensen. 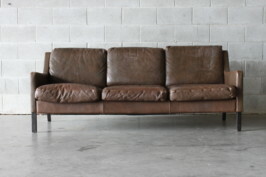 This is the padded back model which have wool covers in excellent condition. 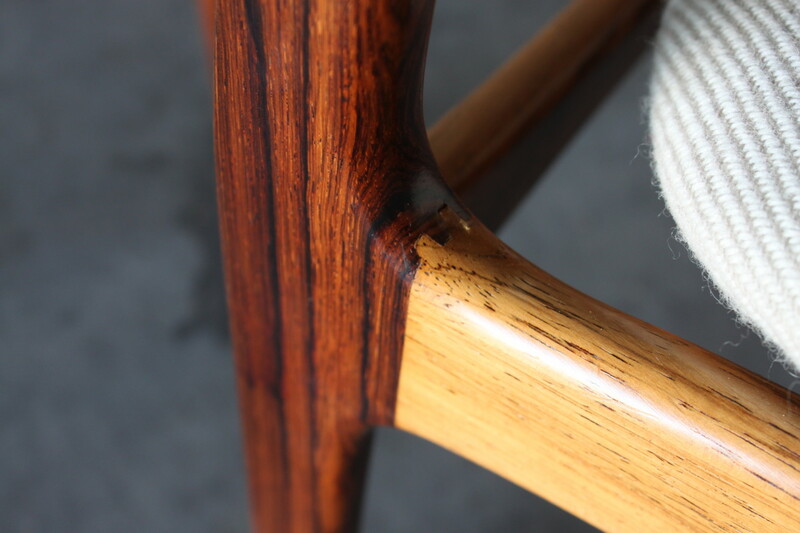 These are very sturdy and comfortable and the rosewood has beautiful grain. 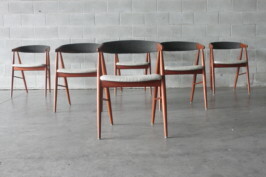 We have multiple dining tables that would work with these chairs they are by Gunni Omann and Harry Ostergaard.